We talk about how Evangelical Christians tend to use the phrase “personal relationship with Jesus” and how this compares to other traditions. Micah says Catholics and Orthodox would take the relationship part without the personal part, because the church as a community is so important. You can’t do it alone, in those traditions. Meanwhile some modern-day Quakers would be far more comfortable with the relationship part than the Jesus part. When we talked before about reading Scripture. we talked about how Friends believe the Holy Spirit is needed to be able to read the Bible properly. This is in contrast to centuries of Christianity wherein only clergy could read it because it was in Latin. Quakerism really could only arise because of the existence of English Bibles. There’s also a bit where Mackenzie demonstrates that you can know a little Latin without having really studied it, just from recitation during Catholic mass. Shout out to Friend Jonathan who once described Catholics speaking Latin in mass as “speaking in tongues.” It’s only tongues if you have no way (besides a miracle) of knowing how to speak the language. This is the first episode to have a transcript. Over the course of 3 episodes, our Patreon brought in enough money to have one episode transcribed. The next one will not be, unless y’all are very generous very soon. But we did have a bump in patrons, so at this point we can do every other episode. Speaker 1: Welcome to Quaker Faith and Podcast where we will explore traditional Quaker beliefs and the variety of Quaker beliefs found today. Where this phrase comes from is a bit of writing from Margaret Fell, who was one of the first Quakers, where she talks about being in Ulverston Church and hearing George Fox start to preach. If you don’t know, there is actually a part in an Anglican service where the priest might allow someone to speak and, in this case, it seems Fox actually did have permission to do so, which is not always the case with him. Micah: Fatal error, allowing Fox to speak. Mackenzie: Yeah, yeah. Because there’s a guy who didn’t know how to shut up. She says that he was talking and saying how Christ lighted the world and lights every man, et cetera, and even though she was familiar with the gospel of John, this was still novel to her. At one point he’s talking about the scripture and people knowing the scripture but whether they’ve taken it into their life or not. He says, “You’ll say Christ says this, and the apostles say this, but what can you say? Are you a child of the light and have you walked in the light? What you speak, is it inwardly from God?” That is updated to be modern English because it’s definitely usually with “thou”s. Mackenzie: Right, this is her recalling her moment of conversion or conviction or her come to Jesus moment. For Margaret Fell, the great realization, what convinced her to become a part of the early Quaker movement, was this realization that she and those around her had been taking the words of scripture and using them but they didn’t actually have a lived understanding of what those words meant. They were just words, they were just stories. They weren’t a lived experience. In Fox, and the other early Quakers, she discovered people who actually were beginning to live out the words of scripture, and actually beginning to live into the story of the gospels and find their lives in that narrative. Mackenzie: Something that sticks out to me in this, because it’s very common to note when you see the things that George Fox would say or write, or any of the other early Friends for whom we have written materials, it’s very common that if you know the bible pretty well you’ll start spotting all the references they’re making. Because they make so many references. Micah: Mm-hmm (affirmative). Yeah, I think that’s a good observation. It does really resonate with that portion of scripture. 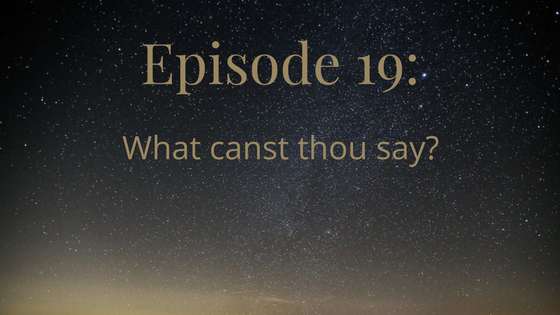 I think really the question for this episode is what does it mean for us today to have something to say about Jesus? Because, as I think is becoming a theme on our podcast because the truth is in this podcast we often re-hash some of the same stuff because it all sort of comes around. I think once again it’s coming around to, for most of the church throughout history, the purpose of their faith has often not been so much to have a personal experience of God and of Jesus, but rather to follow a certain set of rules and a certain set of rituals. What does it mean for us to actually have that kind of relationship with Jesus where we’re not talking about Jesus as someone we’ve heard about, but we’re talking about Jesus as a friend that we know? Mackenzie: Something that I find kind of ironic at this point is how much … There are other denominations that talk about having a personal relationship with Jesus or with Christ, or Jesus Christ, or however you want to construct that. There is some weirdness with how friends have traditionally used Jesus when referring to historical person and Christ to refer to a metaphysical thing whereas lots of other denominations don’t … Most other denominations don’t do that. But, that the idea of having a personal relationship is actually a way that it’s spoken about in a lot of other denominations but meanwhile has been seriously downplayed in Quakers over the course … It was clearly very big 300 years ago, but has done a downward slide, it’s not as common I think. Micah: I’m sorry, what’s not as common? Mackenzie: Talking about having a personal relationship with Jesus, or with Christ, or whatever. Micah: I think the thing that … The whole, “Do you have a personal relationship with Jesus Christ?” I think that’s a phrase you will hear frequently in evangelical circles. Micah: I think Quakers, and for that matter, I think Roman Catholics and Eastern Orthodox, among others, are going to take issue with that phrase, not because of the relationship part but because of the personal part. Micah: The idea that it’s all about your one-on-one time with Jesus, when, for most Quakers and certainly for traditions like Roman Catholicism and Eastern Orthodoxy, it’s not all about you. It’s about the community, it’s about the church. It’s about the collective relationship that we have with God through Jesus. I think if Friends today—including the vast majority of Friends who are Christian—if Friends today don’t talk a lot about a personal relationship with Jesus, it’s not necessarily so much of an aversion to the idea of a relationship with Jesus. It’s a skepticism about this idea that it’s sort of a compartmentalized, one-on-one with no reference to community involved. Mackenzie: Okay, that makes sense. I think there’s also certainly a set of Quakers who … The Jesus part is maybe more of the issue for them than the personal part. Mackenzie: And that even … That actually this part here actually especially more so than some of the other things that we’ve hit on in this book, can fit for them because the question, “What has been your experience of the divine, of the supernatural or whatever’s beyond ordinary?” That speaking to what has been their experience is something that, I think, in the parts of the society that are less comfortable with Jesus, that’s still something that they are comfortable with. Mackenzie: Does that make sense? Micah: Yeah. I think something that’s important to take away from this is that when Margaret Fell’s remembering George Fox saying this, George Fox and the early Quakers … The import of their message was not, “We don’t need to take any past experiences with God and writings about them, such as the bible,” the message was not, “We don’t need to take these things seriously. We don’t need to take any church tradition seriously, but we just need to go about whatever we feel right now.” That wasn’t the message. Mackenzie: They haven’t affected you. Mackenzie: If you memorize the entire bible but it has no impact on the way you live your life then why bother? Micah: Right, little o. Orthodox meaning non-heretical. Mackenzie: I just attempted to see if I could still do the Apostles’ Creed in my head because I used to be Catholic and all, but apparently I’ve actually been to Catholic mass on enough Sundays that I’ve started to get some Nicene wiggled into there, and it got confused. Anyway. Micah: I think the point here is that traditional Quaker Christianity is not so much about denying … Fox doesn’t say, “Christ says this and the apostles say that, but who cares what they say?” He doesn’t say that. He says, “Christ says this and the apostles say that, but what can you say?” Meaning, of course it matters what they say because what they say is the truth, but is it in you? Mackenzie: Mm-hmm (affirmative). But what impact does that have? How do you take that? How do you put it to use? Micah: Right. Not so much how do you put it to use, either, but the same spirit that inspired the scriptures must inspire you if the scriptures are to be of any use to you. Micah: In fact, the fact is that the scriptures are dangerous in the hands of people who are not inspired by the Holy Spirit because we can only misuse them. Mackenzie: You just kind of hit on the whole like why for so very long there were no bibles in the vernacular language of anywhere. Right? Micah: Hmm. Say more about that. Mackenzie: Well, it was a really big deal when the bible was translated into English for the first time, the Douay-Rheims bible in the 16th century. The Catholic Church had been maintaining that the bible should be Latin. The priests could read Latin, well-educated could read Latin. Micah: Some of the priests could read Latin. and have no idea what it means but it’s “Lamb of God”. “Lamb of God, you take away the sins of the world. Have mercy on us.” I probably mispronounced some of it. So, no, I was not speaking in tongues, Jonathan. That if only people who have actually studied the bible for realsies in seminary are the ones who have a bible that’s in a language they can read, then that results in a different thing than … I think we mentioned at some point, a previous episode or something, about context and next to Jesus, et cetera, that if you just read the bible without having any context and without having the Holy Spirit’s guidance, or be in your light or whatever, to guide you that then you can come up with some pretty odd things. Mackenzie: Without the English bibles. Micah: Without the mass distribution of English-language bibles. Micah: That was the catalyst for so much transformation. Micah: It was called the Breeches Bible because it said in Genesis that God made breeches for Adam. You know when he tossed him out of the garden? Anyway, that’s neither here nor there. The early Quakers, they agreed in a certain sense with the idea that the scriptures … Like I said, the scriptures are dangerous in the hands of people who are not qualified to read them. But the qualification is not education. The qualification is not the imprimatur of an ecclesiastical institution. Micah: It is the presence of the Holy Spirit that qualifies us to read the scriptures properly. Mackenzie: Mm-hmm (affirmative). Right. Which can be hard to verify. Mackenzie: That’s not exactly subject to outside verification the way a Master’s of Divinity is. Mackenzie: Yeah. How do they pick the new Pope, right? Micah: Right. They’re doing discernment. For Quakers, the collective discernment of the whole community of believers is incredibly important because there’s no special set aside leadership cast of people that can basically do that discernment for them. Micah: The whole community of believers need to show up and do the work. Speaker 1: You can find us on the web at quakerpodcast.org. 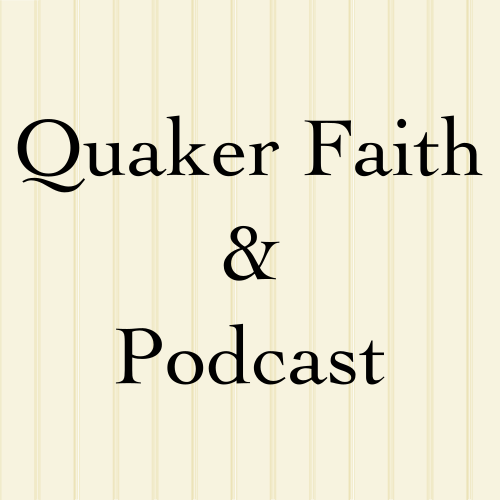 As Quaker Podcast on Twitter, Facebook or Patreon, and on iTunes.